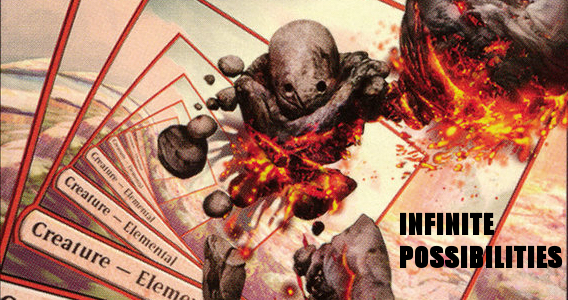 Unstable introduced some really interesting concepts to the game of Magic: the Gathering, some of which are probably straight busted when built around properly. I’m specifically thinking of Rules Lawyer. 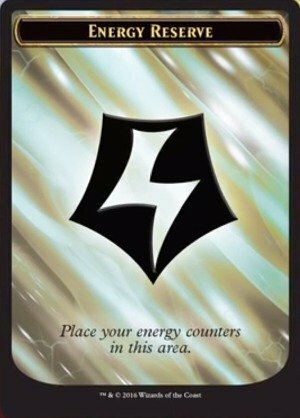 The only problem is that the people who would want to build a deck around Rules Lawyer are people who already know how he works and why it is busted. That is not true for other cards though, like our subject this time around, Infinity Elemental. The first thing we can talk about is the most obvious, turning sideways and taking out an opponent. Giving Infinity Elemental trample or unblockable is the best thing to do, but which are the best this situation? Afterall, giving our infinitely high powered creature skulk with Skeleton Key is going to do anything useful. Trample Probably one of the best forms of “evasion” this creature can have. It will always be lethal once combat damage happens. Shadow There are only a handful of ways to grant shadow to creatures, but they might be worth running in any deck with big stompers. Horsemanship Same reasoning as shadow only somehow, more rare than shadow. No one expects horsemenship. Fear/Intimidate On a mono-colored creature, Intimidate is pretty at making almost 4/5ths of creatures unable to block. Protection Protection from creatures, from colors or from asapargus. Get it on a creature and go to town. Landwalk This is here mostly for completion sake, the best version of this sees decent amount of play already with Trailblazer’s Boots. Skulk One of the worst forms of evasion that has come out coupled with one of the worst ways to combine it with. You know what is smaller than infinity? Everything. Give our vanilla elemental just about any evasion and we get a free kill on any opponent, equip Blade of Selves and we kill the table. Simple, quick and fun, if we listen to any Timmy player out there. There is more we can do with infinite power though. The first of which is draw an infinite amount of cards. This would usually mean we lose but as most Commander players know that can turn into a simple win with Laboratory Maniac. We can even make a million-billion* mana with cards like, Selvala, Heart of the Wild. Next, let us talk about making an infinite number of tokens, with a repeated process at that. Carrion does just that for us, just a board filled with 0/1 maggots to do something nefarious with. Sacrificing a creature, not your style? Try Fungal Sprouting. Not instant speed, but 1/1 saprolings are better than 0/1’s, especially if someone is trying to chump block you forever. We can’t have that, can we? There is even an option to gain an infinite amount of energy. You know, the mechanic from Kaladesh, with Peema Aether Seer. What you do with that energy is mostly up to you, as you have stumbled upon an actual perpetual motion engine of some sort. At that point, you should set up a KickStarter and get people to pay you for your free energy machine. That or dump a named arbitrally large amount into Aetherwind Basker. I won’t judge. *This could also be google-trillion. Or to be specific, infinite mana. The deck is a pretty normal Brion Stoutarm deck all in all, but frankly, it doesn’t need to be anything special when we have phenomenal cosmic power in our hands that will end the game at any moment. We just need to ramp and draw the right cards to finish out the game. The key cards are anything that puts all damage ever created into the face of someone else. Chandra’s Ignition, Fling and Brion himself are the MVP’s to the game plan. Now, we move onto some of the really weird things that can happen when infinity is introduced to our game. This isn’t normal infinite where we pick a really big number and it stops mattering what that number is because the number can be adjusted to fit whatever size it needs to be. We are talking about the literal infinite, an uncountable number that is bigger than the biggest number. However, if we have Brion Stoutarm and throw our infinite powered buddy at something to gain an impossible to represent on dice amount of life. We get into a pretty good position to be in all told. The reason is, of course, an infinity minus any number is still, infinite. So go ahead and pay all the life you want to Hatred or let everyone hit you with their creatures, it isn’t going to do anything to that life total of yours. Even further, we can lose half our life with Heartless Hidetsugu or a third with Dire Fleet Ravager, our life isn’t going to change from infinity. First of all, just normal removal gets rid of Infinity Elemental. So does chump blocking, and Darksteel Mutation. This is a vanilla creature we’re trying to build around so it is going to be weak to a lot of things and sometimes you just commit to a strategy and hope it pans out. Another thing to watch out for is if we go the infinite life route there are a couple of pitfalls we can run into. The first of which is everyone’s favorite mechanic in commander, infect! Having infinite life means nothing to poison counters. Secondly, anything that sets our life total, such as Sorin Markov or Magister Sphinx or even worse someone stealing our hard work with Axis of Mortality. Worldfire might actually be the worst thing ever to happen to us too. In a lot of ways, having an infinite amount of life or creatures makes things easier for us as players. Not having to do the math each time a life total changes or a resource change happens really frees up processing power for making critical decisions that could actually win you the game. There is a type a magic you can play that deals with infinite mana and life, it’s called Judge’s Tower. It is not for the faint of heart or those with a poor grasp of the rules but if this kind of thing is interesting to you then it might be up your alley.